Bible Story: 1 Peter 4:10-11. 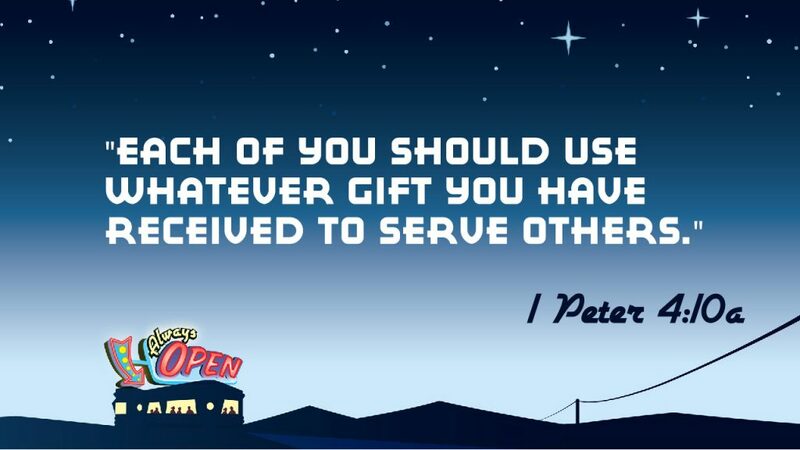 Peter reminded people in the early church how God’s Holy Spirit gave each of them a spiritual gift. When we use those gifts, we can point others to Jesus. 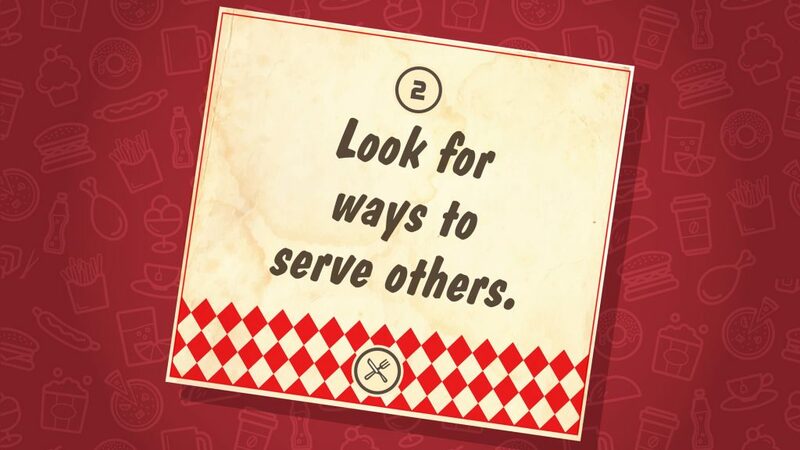 Bottom Line: Look for ways to serve others. God gives gifts to everyone who follows Jesus so they can use them to give back and help others know Him! Key Question: How can you serve someone today? You don’t have to wait to use the gifts God gave you; you can use them right now and every day!